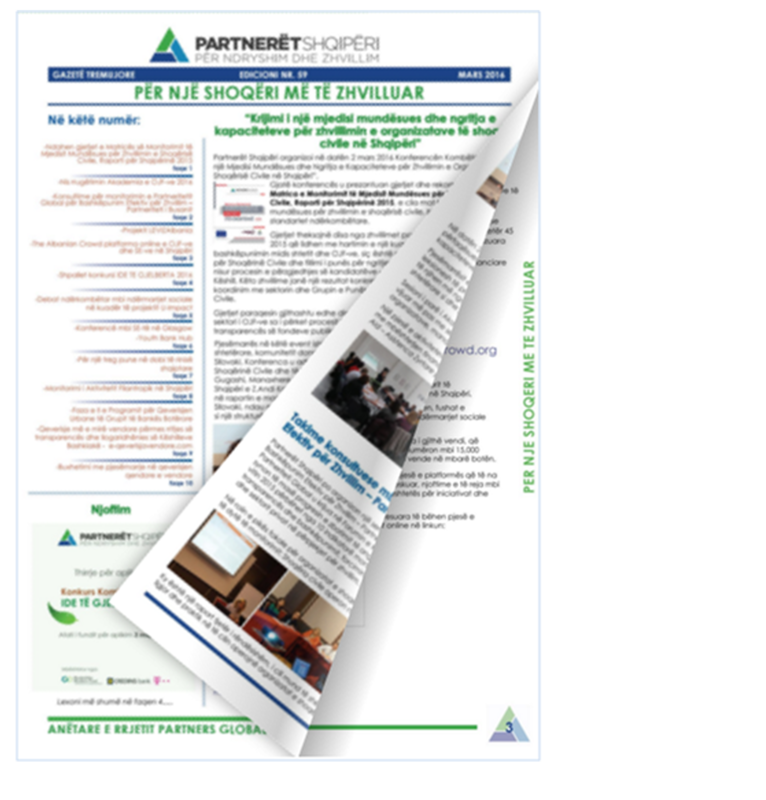 “Toward a Sustainable Society” is an informative quarterly newsletter Partners Albania issues since its establishment. It provides updates on activities, programs and highlights of Partners Albania work. Other cooperating institutions use our newsletter to make public announcements.